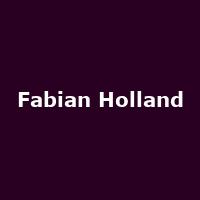 "Fabian Holland is a contemporary singer, songwriter, and guitarist based in London. His music is influenced by folk songs and tales from around The British Isles, together with an upbringing in Blues, this is then enriched with his love of storytelling and his continuing emphasis upon musical improvisation. He now rarely plays the same song in the same way, resulting in every performance becoming quite unique."